Substantial agency milestones have been reached! Find out more. 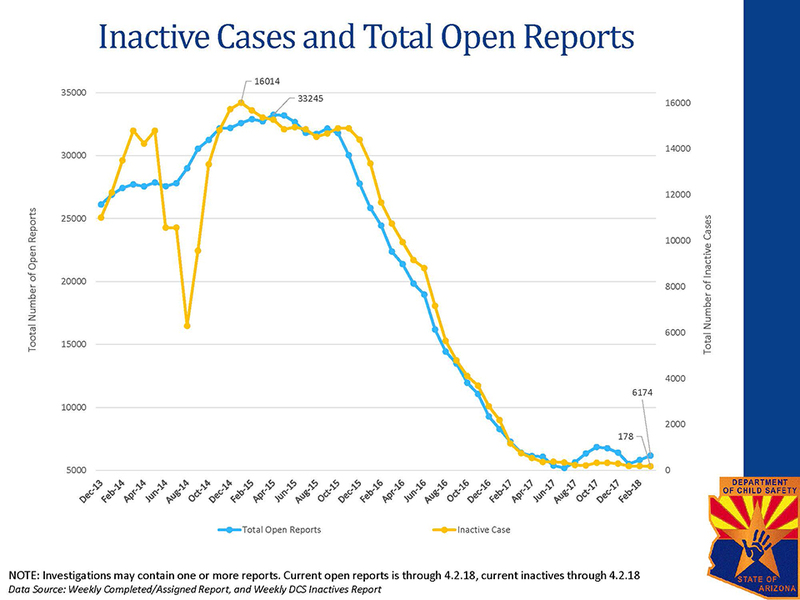 The number of open inactive cases hit their lowest number since January of 2010. 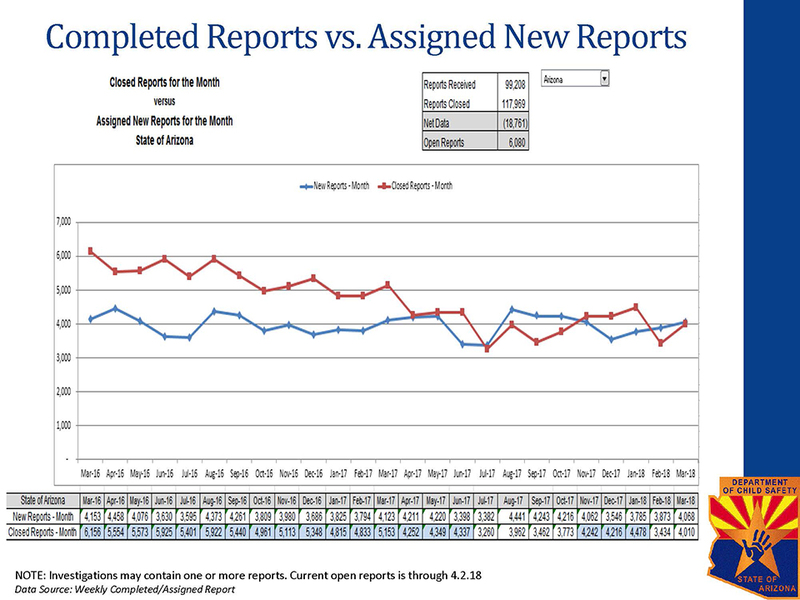 Open inactive cases are now at 178 down from the previous all-time high of over 16,000, in February of 2015. 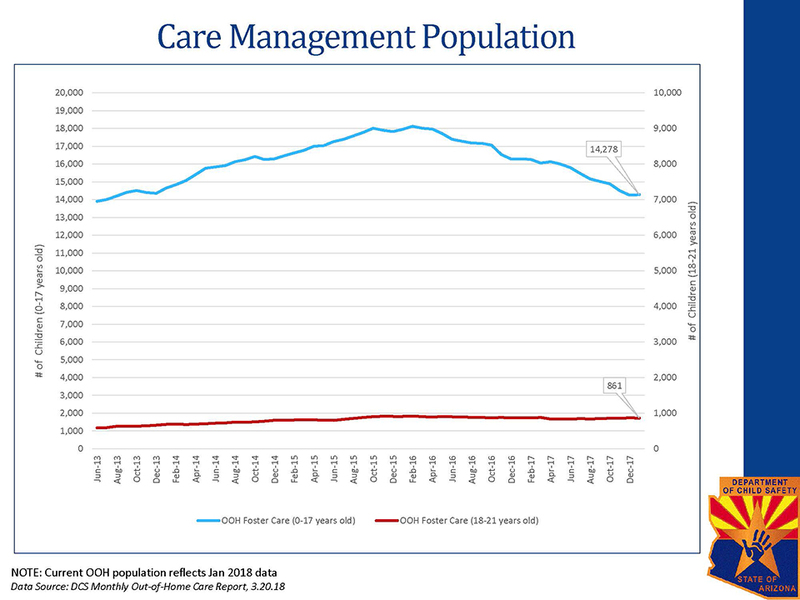 A year over year growth trend of 9-10% growth in the number of children in out of home care has been halted and reversed. The downward trend is expected to continue. Twenty-six months of data illustrate another key reversal with more children leaving DCS' care every month than are entering in. (November of 2015 through February of 2018 - most recent finalized data).